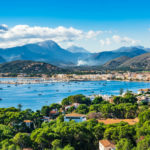 Benidorm, which was originally a fishing village on the Costa Blanca, has over the past decades become a tourist resort with more beds available than anywhere in Europe after London and Paris. The abundant hotels, apartments and holiday houses are reminiscent of the skyline of Manhattan. Benidorm has around 75,000 inhabitants and is located about 25 miles (40 km) north of the town of Alicante, in the province of the same name. 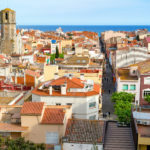 Benidorm has a pleasantly mild Mediterranean climate and is totally focused on tourism, which is obvious when you see the number of restaurants, bars, discos and shops. Benidorm is surrounded by magnificent landscapes and beautiful beaches offering a large range of services. 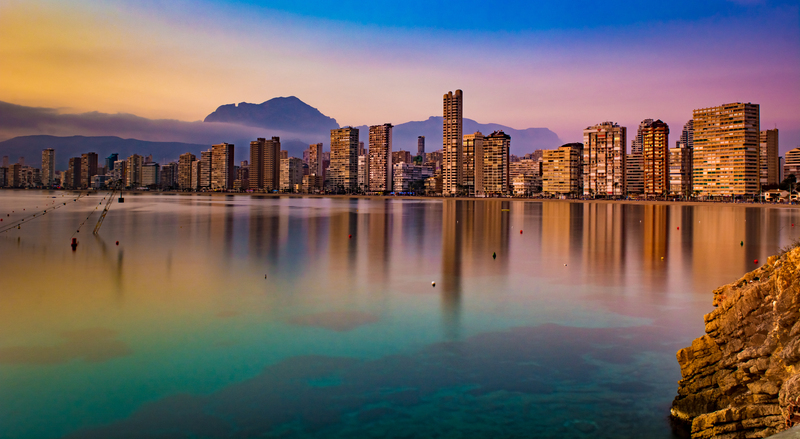 Benidorm may look like a concrete jungle, but this is also what is attractive about the place. Look for your holiday villa here! In the 1980s, Benidorm was essentially a spot where young tourists from the north of Europe would come and spend their holidays doing the following: beach activities, drinks on a terrace at the end of the day and dancing until the early hours of the morning in night clubs. Today, discos welcome more and more tourists for cocktails, music and dancing, which are the main ingredients of lively holidays. Currently, Benidorm is also starting to focus on retired people, who even come here to spend the winter months. And in summer, Benidorm is a popular holiday destination for holidaymakers of all ages looking for a place where there is always something going on. Sant Jaume i Sante Annaparishchurch dating back to the 18th century, located in the old town at the top of the Canfali hill and built to honour Mary, the patron saint of Benidorm. 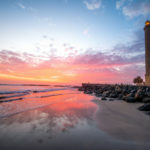 Punta del Cavall Tower, also known as Torre de Caletes, can be found near the nature reserve of Sierra Helada. At the summit of the rock which divides the two beaches you will find Mirador de la Puna del Canfali. This citadel used to serve as defence against attacks by Algerian and Berber pirates who used to terrorise the Benidorm coast between the 14th and 16th centuries. Today, this citadel is abandoned and there is not much left to see. The Tossal de Cala, built between the 3rd and the 1st century BC, was the meeting point for merchants of that era. Opposite the coast you can see a wedge-shaped island, Illa de Benidorm, a nature reserve which you can visit by boat. The legends say that this island came from an immense block of rock which is missing from the summit of a neighbouring mountain, Puig Campana. During Charlemagne’s military campaign, Roland the Bold is said to have cut a piece of the rock with his sword, after which it slid down the mountain to the sea. Aigüera Park, designed in a neo-classical style by the architect Ricardo Bofill, is also worth walking around. Benidorm: beaches with excellent facilities! 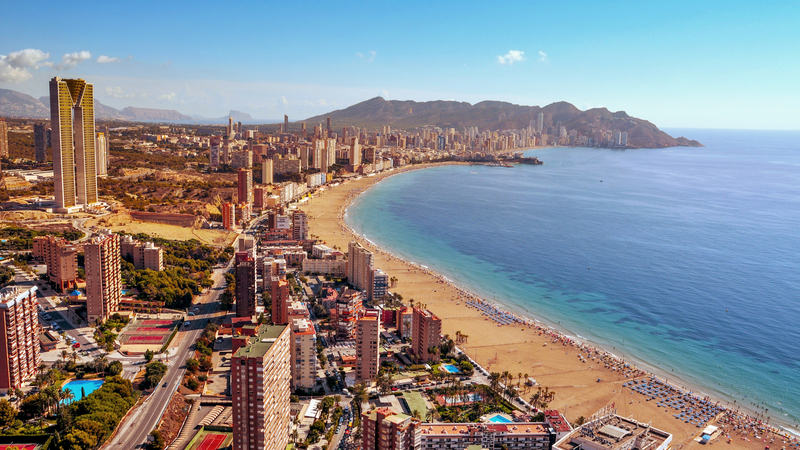 In Benidorm, the magnificent beaches are undoubtedly the main attraction. With the explosion of tourism in the 60s, Benidorm developed around the concept of beach holidays by offering excellent facilities. 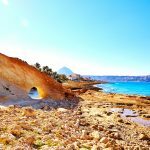 The beaches in Benidorm are suitable for all age groups and offer an unequalled multitude of facilities, amongst which there are even waterparks and theme parks. 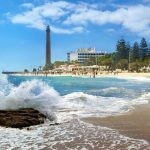 The three main golden sandy beaches in Benidorm have been awarded a blue flag, the highest distinction given by the European Union. 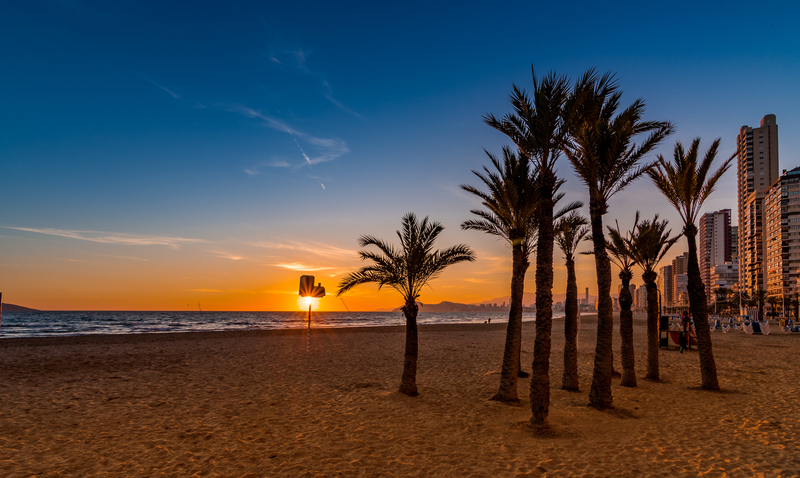 LevanteBeach (to the east) and PonienteBeach (to the west) are connected to each other by a boulevard, where there is also a park, the Balcon del Mediterraneo. Benidorm also has another beach, Cala del Mas Pas, and a smaller one, Cala del Tio Chimo, a little further away. All the beaches are supervised and are equipped for people with reduced mobility. The three largest beaches in Benidorm have a car park where you can leave your car. These three beaches all have showers and public phones. Terra Mitica is one of the biggest theme parks in Spain and is composed of five zones where you can get to know the different Mediterranean populations from the past, present and future: Romans, Greeks, Iberians, Egyptians and islanders. Terra Natura and Mundomar are zoological parks where you can discover many animals in a magnificent maritimeor exoticsetting. You can also admire shows with seals and dolphins. Aqualandia Park is an aquatic park with toboggans, water games and different swimming pools. Benidorm is undoubtedly your favourite holiday destination: enjoy a wide range of possibilities, entertainment, beaches, the sea, events, nightlife… in a nutshell, unforgettable holidays on the Costa Blanca! Book your dream holiday house.